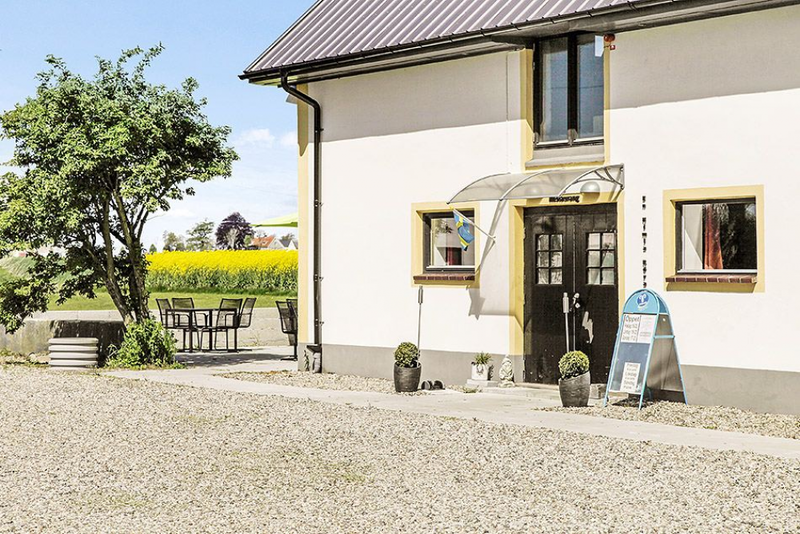 Small family run hotel in the heart of Österlen. In the very quiet town of Borrby, close the beutiful Borrby beach. 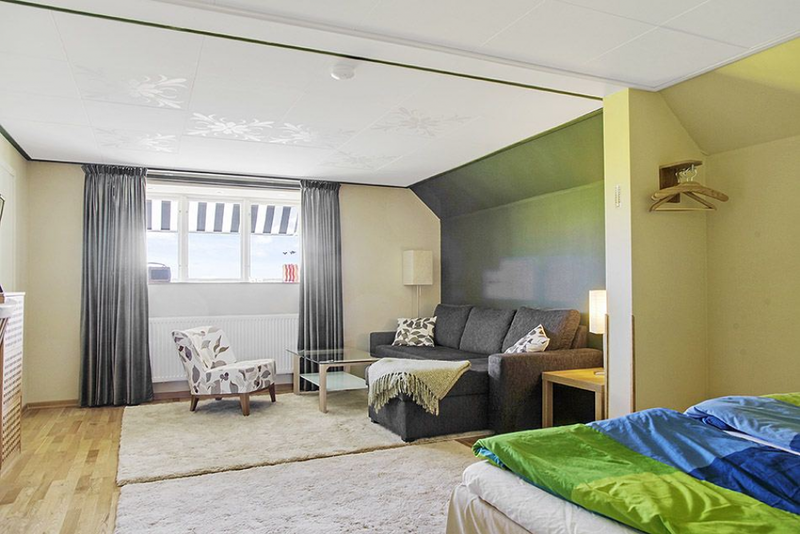 The wonderful fishing towns of Ystad and Simrishamn are just a few kilometers drive away. We offer a delicous breakfast buffet every morning. In the evening you can relax and enjoy a home cooked meal in our restaurant. We pride ourselves on using local and ecological produce. Österlen is famous for its culture and workshops where you can find every type of artisan possible. All rooms are very spacious with ensuite bathroom. There is one double bed and a sofa that can be converted into a double bed. Free Wifi is available in all rooms. TV with DVD-Player. 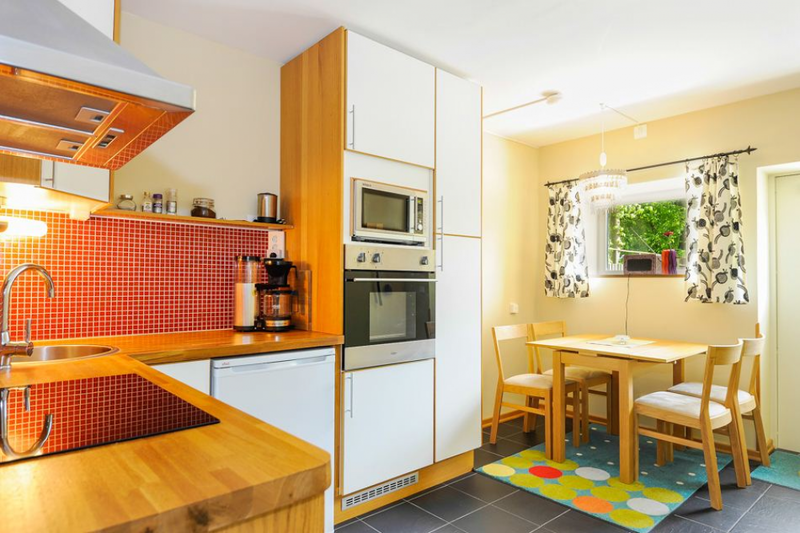 small kitchen with coffee machine, kettle, stove and fridge. 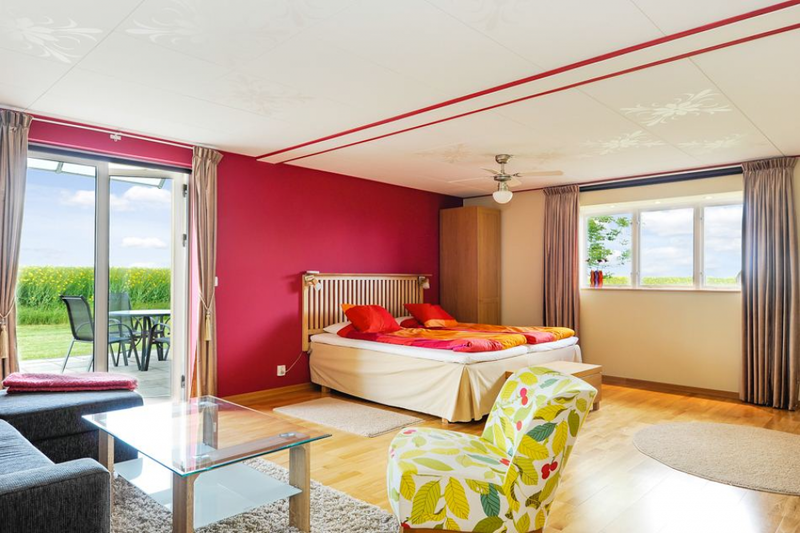 These rooms are located on the first floor with a beautiful view over the surronding coutryside. This very large spacious quiet room with ensuite bathroom. 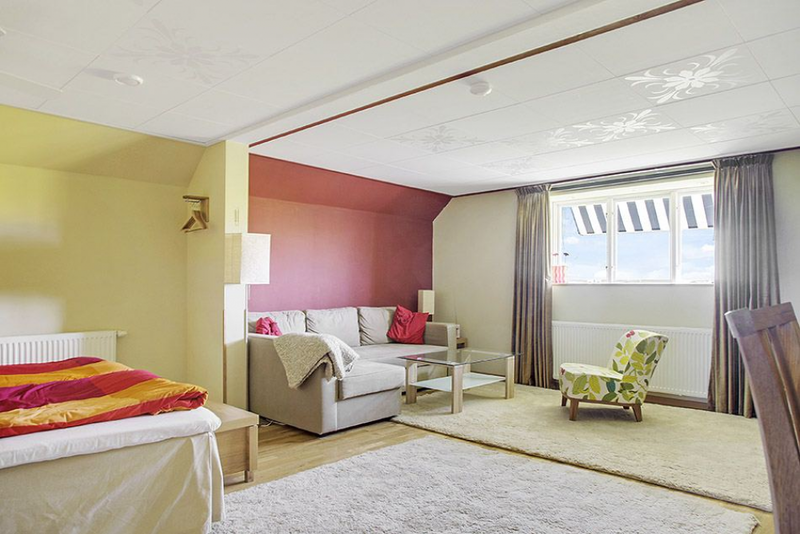 The room has one double bed with a sofa that can be converted into another double bed. Free Wifi is available in all the rooms. TV with DVD-Player. Small kitchen with coffee machine, kettle, stove and fridge. Table with four chairs. This room is located on the ground floor with its own small terrace with beautiful views over the surrounding countryside. Wheel-chair friendly.